Play some of the best of the modern indie gaming scene, with a focus on experimental multiplayer games, and meet the designers who made them. Check out the full lineup here! A Playstation VR game where you physically head virtual footballs and other odd things. A 2-8 player car combat dating sim racing game that was made for No Quarter. A Raspberry Pi interactive art project. A bear's phone reads stories from @A_single_bear, with bear/python-twitter. A 2D side-scrolling beat-em-up with sword-wielding-monkeys, bomb-throwing-monkeys, pig-riding-monkeys, and a king monkey. The Portland Indie Game Squad hosted 3 week long game jams this summer, each with a unique technical and creative theme. 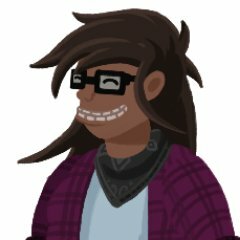 The entire collection has been compiled on itch.io, where you can try each project for free.